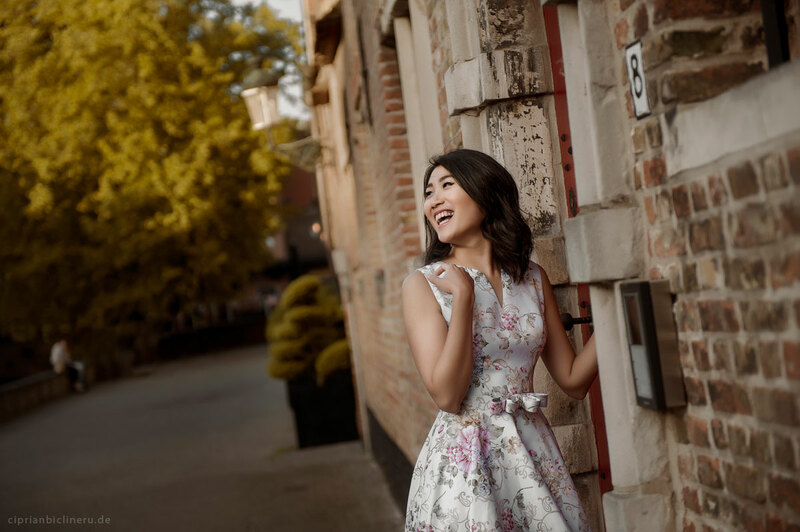 Hello dear friends, here we meet again on my Blog, this time with a small preview from a Pre wedding photo shoot in Bruges, Belgium. I remember how they wanted first to have this pre wedding photo shoot in Paris. Wow, Paris must be the dream of every wedding photographer. 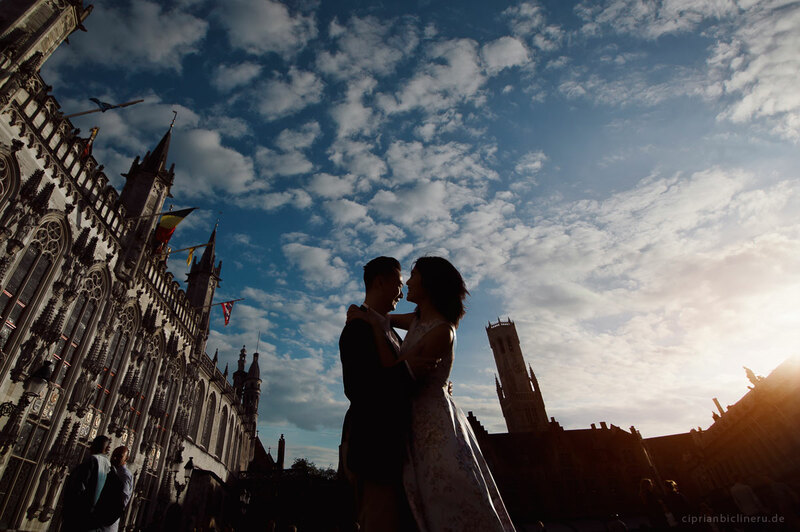 The city of love offer so many amazing opportunities for wedding photography! But this looks nice for an inexperienced photographer. For me, Paris, except its beauty, offers just tourists.. many tourists, almost infinite tourists! Of course every couple want to be photographed at Eifel Tower, at Notre Damme de Paris, on the bridges crossing Seine, at Sacre Coeur. Guess what? These are always the most crowded places in Paris! 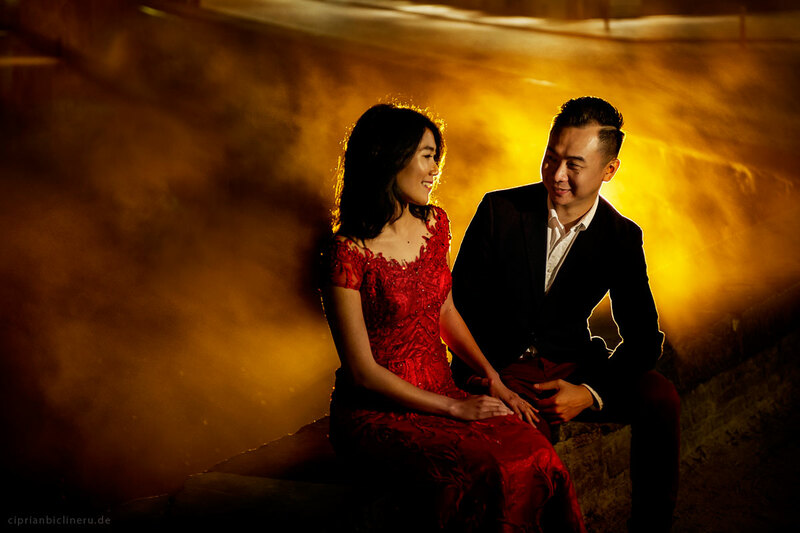 A long expected pre wedding photo shoot in Paris can turn out in a nightmare. Except when you do one little but important thing. 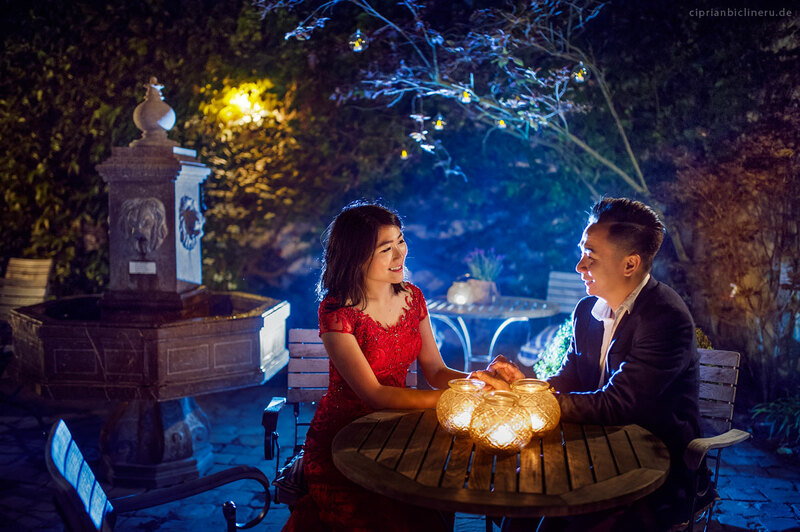 You must wake very early, the couple much earlier than you to get ready. So, for example in our situation in May, the couple should have waken up one or two hours before sunrise. The sunrise in May is around 6:10. So they should wake up at least 4:00 o’clock in the morning. Not to mention the long walking distances between objectives! 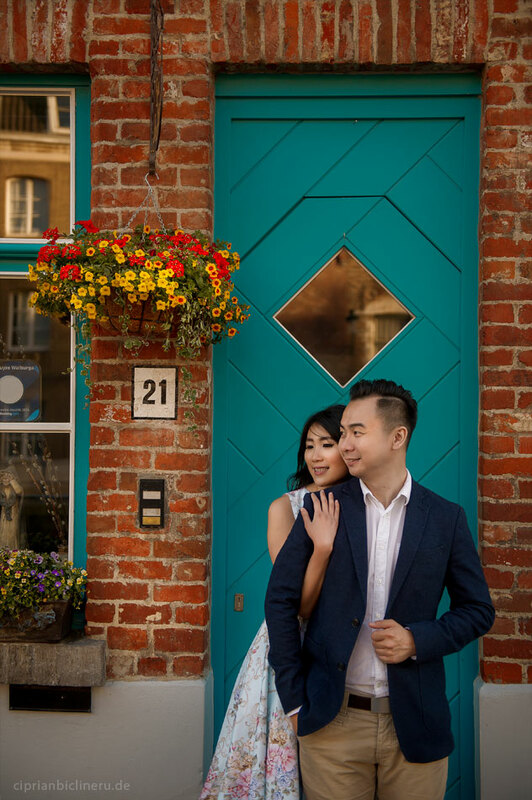 I presented all this shortcomings to my lovely Asian couple, I have presented also some other possible photo locations and I let them choose. 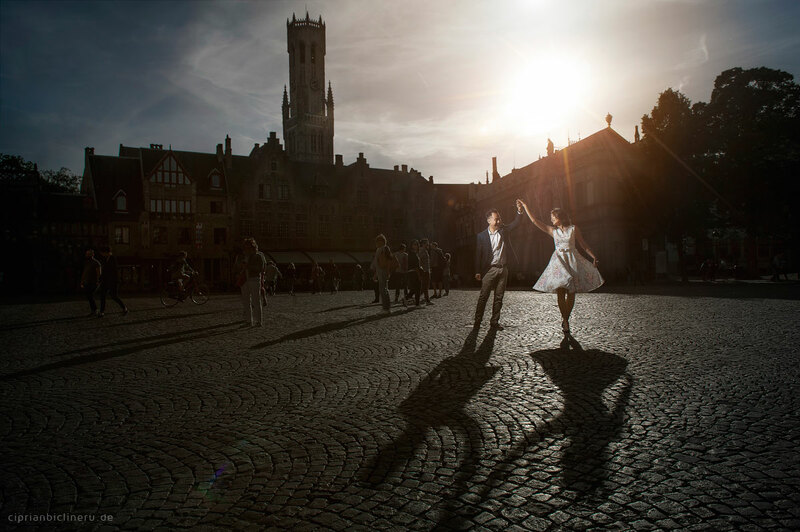 Luckily for them and for me they have chosen Bruges. 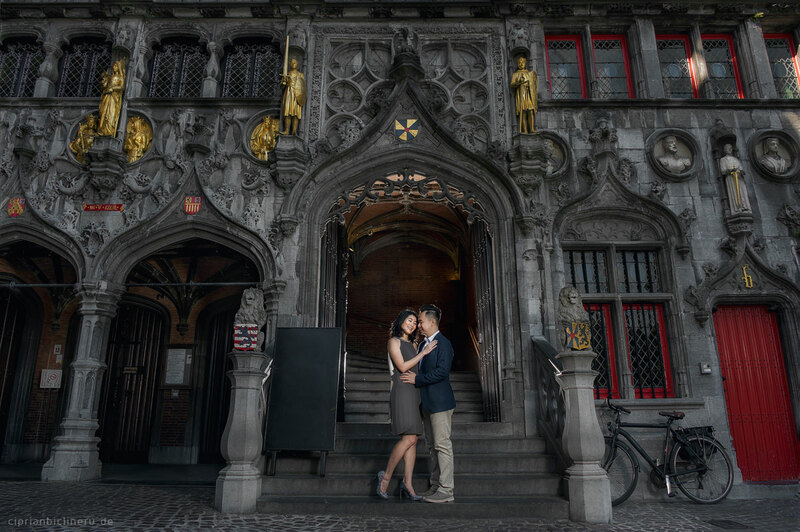 This is one of my favorite cities I have visited and since long I wanted to do a wedding photo shoot there! 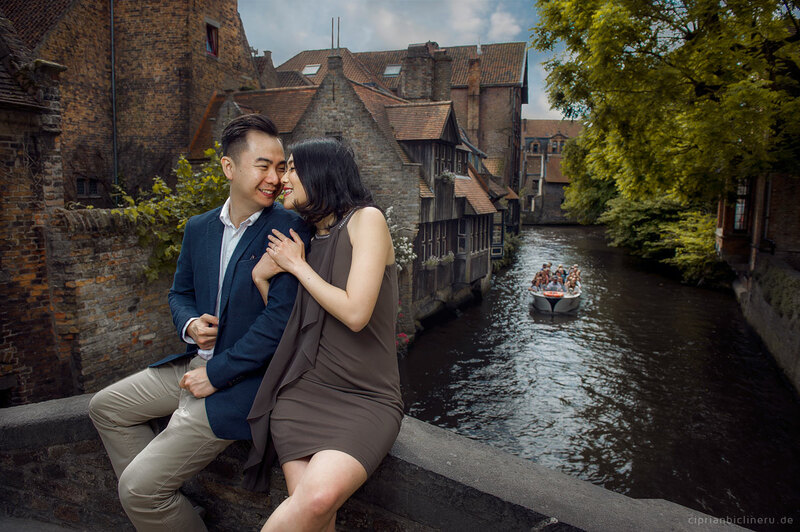 Luckily we had an amazing summer weather in for this Pre wedding photo shoot in Bruges, Belgium, not so many tourists and the city was simply amazing! Not to mention my couple who was open to all my suggestions and crazy stuff until very late in the night. I let you now enjoy the first photos, soon will come all of them. Take care!